At ETC, providing results for our clients means several things. It means we maximize the benefit of each project while minimizing our clients’ costs in the most efficient way possible. We commit our best resources to support the top professionals in the industry and encourage collaboration among our team. We also constantly seek ways to improve the quality of our services to meet the diverse needs of building owners, advisors and property managers throughout the East Coast. maintenance and repair. Building surveys are intended to evaluate components (roofs, structural, pavement, etc.) of the project to locate problems or potential problems before they get worse. The sooner steps are taken to correct a problem (or potential problem), the less costly and disruptive the corrective action will be to your facility. 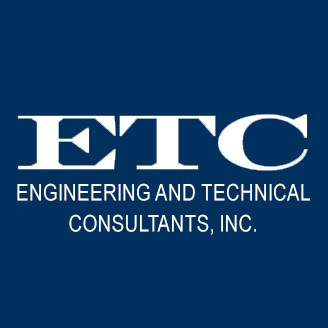 ETC provides building maintenance and repair services as well as building studies to those in Pennsylvania, Maryland, Virginia, and surrounding areas. Evaluation of building components is a common service provided to help determine the conditions and extent of any problems present. Where problems do exist, the cause and effect need to be fully understood in order to develop repair strategies that are not only effective, but also durable. We’re frequently brought in to determine why some earlier repair, usually based on supposition and assumption, was less than successful. In most of those cases, symptoms rather than causes were addressed. Much of what comprises a building is hidden from sight and evaluating problems occasionally requires that we do beneath the skin. It’s often necessary to dismantle walls to observe internal components or extract samples of concrete, roofing, pavement or other materials for laboratory analysis. These are all services we routinely provide. Water penetration evaluation os one of our specialties. Water is an amazing and devious substance and tracing its path into a building often involves spray testing and/or intrusive study. To be meaningful, spray testing must be performed in accordance with accepted protocols and it must be planned and evaluated using informed knowledge of building construction. Remember, the damage caused by water leakage that you can see may not be the damage with which you should be most concerned. Serious deterioration of concealed building components (i.e., masonry ties, shelf angles, framing, concrete, etc.) can proceed with little or no outward sign. The heart and soul of a renovation or rehabilitation project is the contract, which contains the specifications that define the contractor’s responsibilities to the technical aspects of the work. A well-prepared specification not only defines the best practicable work scope, it also attracts comparable, competitive bids and thus helps ensure value. The basis of a good specification is proper evaluation. Preparing a bid package complete with bid forms tailored to the project and soliciting submissions from qualified contractors is a job most efficiently handled by the consultant who developed and understands the repair specification. Conducting a pre-bid conference is a critical step in procuring competitive bids. Even with detailed and clear specifications, and unequivocal specifications, submissions can contain errors, misconceptions or misinterpretations that could have enormous impact on cost. Weeding through bid submission to locate potential problems and preparing a balanced appraisal and bid summary typically culminate the process. Comprehensive design documents alone will not ensure that the contractor’s work is compliant and of acceptable quality to produce the desired results. Periodic site visits (quality assurance inspections ) to observe the work is critical to not only confirm quality and compliance, but also to help resolve unforeseeable complications that may be encountered. In addition to quality assurance inspections, Contract Administration entails periodic progress meetings and reports, documentation, review of submittals, dealing with field problems, processing pay requests and, where necessary, preparing change orders.